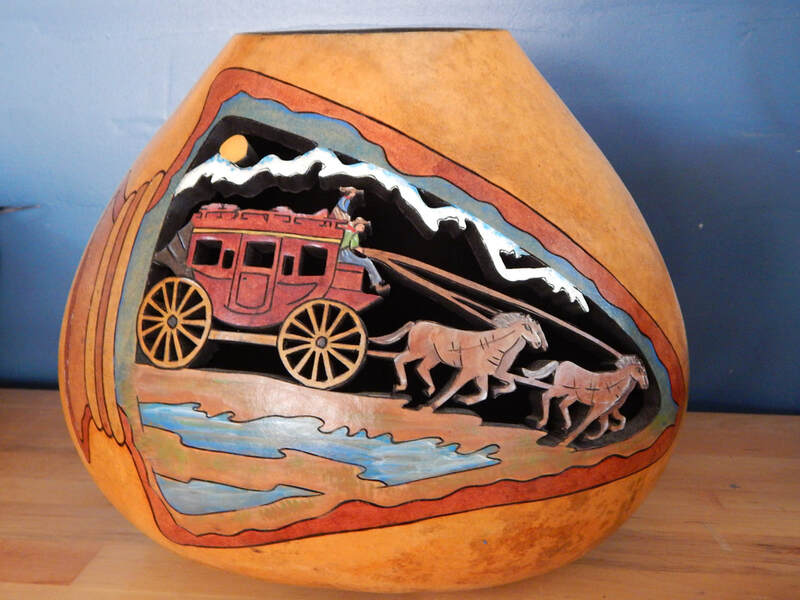 Bob takes a dry gourd and transforms it into works of art by hand carving. Then Yolanda using acrylic and oil piant and intricate bead work finishes each piece. Bob and Yolanda Espinosa will demonstrate burning designs on a dry gourd. © 2019 Art Loop™. All rights reserved. No part of this site or works herein may be copied. Art Loop™ is a registered trademark of the Lincoln County Art Loop® Studio Tour.